The 1965 Ferrari 275 GTB, a 2 seater Gran touring sports car, designed by Pininfarina and the coachwork built by Scagletti between 1964-1968. It has a shark like profile and Typical Ferrari grill, the initial short blunt nose profile then gave way to a more aerodynamic longer nose version. 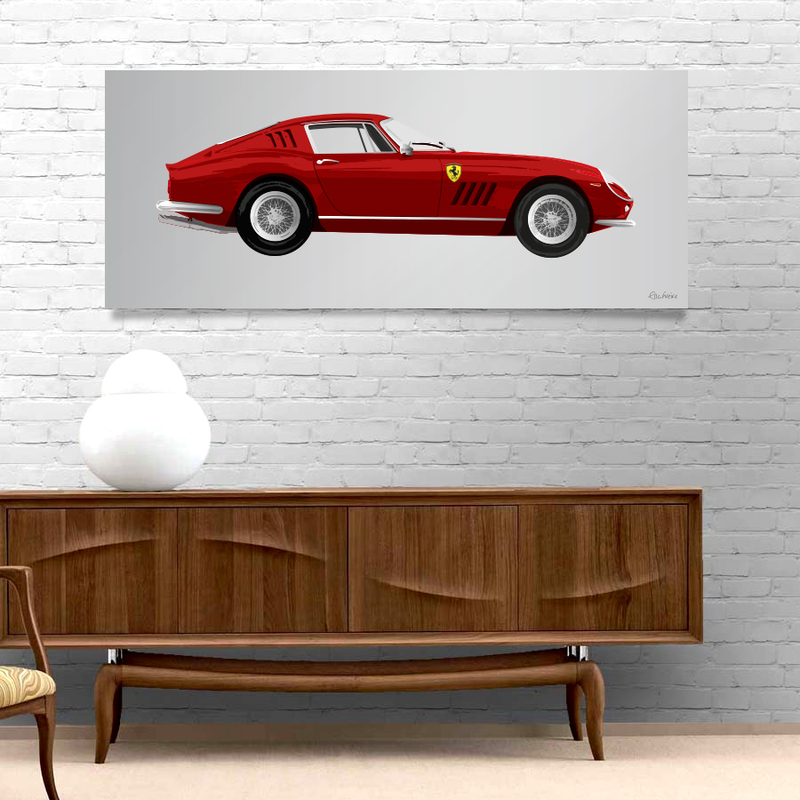 Like this 275 GTB, each vintage car print is produced using a layering technique of metallic, coloured & white inks, the print is then reversed mounted onto 8mm thick flame polished acrylic. The artwork is not only protected against dirt, scratching & discolouring but it can also achieves a floating, three dimensional quality unobtainable by any other process. 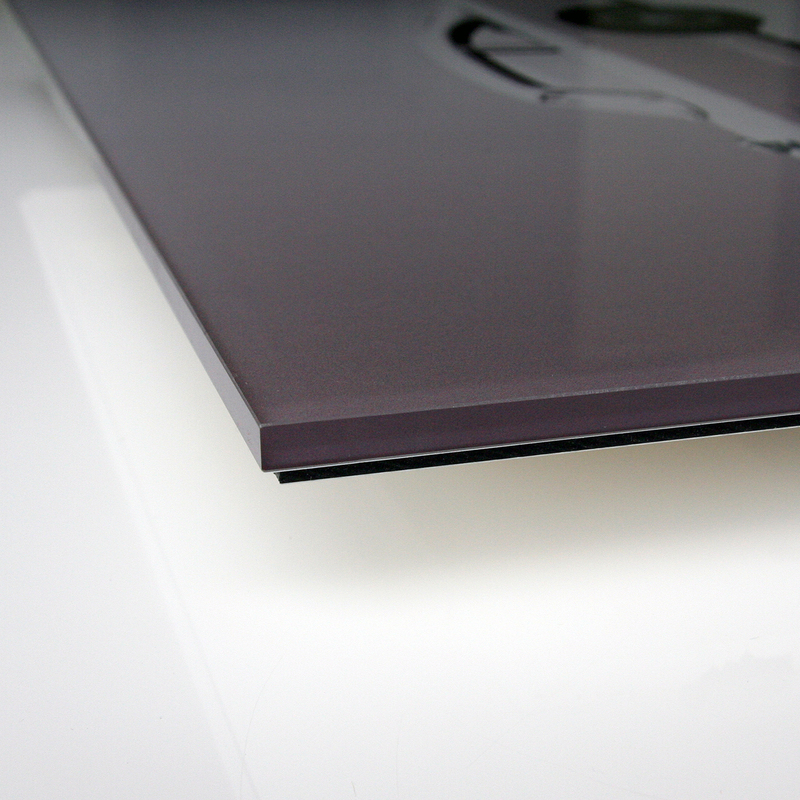 Perspex face mounting provides a brilliance, intensity and saturation of image that has to be seen to be believed. Each framed artwork is supplied with painted split-battens for hanging. All my prints are limited editions. If you are interested in custom-made sizes, please contact me for further information & costs. Please contact me for shipping costs as these will vary with sizes & locations.